Abellaite: Mineral information, data and localities. 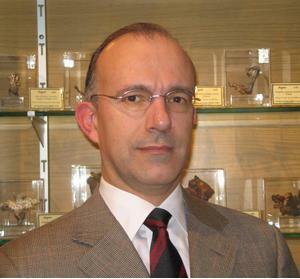 Named in honour of Catalan gemmologist Joan Abella i Creus (born 13 December 1968, Sabadell, Catalonia, Spain) who has long studied the minerals of the Eureka mine and also found the mineral. Known synthetic analogue. Chemically similar to sanrománite. The aggregates of microcrystals are highly friable. As coatings consisting of subhedral crystals; hexagonal platelets (up to ∼30 μm); Individual crystals: Tabular to lamellar habit and forming disordered aggregates. Ibáñez-Insa, J., Elvira, J.J., Oriols, N., Llovet, X., Viñals, J. (2016) Abellaite, IMA 2014-111. CNMNC Newsletter No. 29, February 2016, page 200. Mineralogical Magazine: 80: 199–205. Siidra O., Nekrasova D., Depmeier W., Chukanov N., Zaitsev A., Turner R. (2018): Hydrocerussite-related minerals and materials: structural principles, chemical variations and infrared spectroscopy. Acta Crystallgraphica: B74: 182-195. Ibáñez-Insa, J., Elvira, J.J., Oriols, N., Llovet, X. and Viñals, J. (2016) Abellaite, IMA 2014-111. CNMNC Newsletter No. 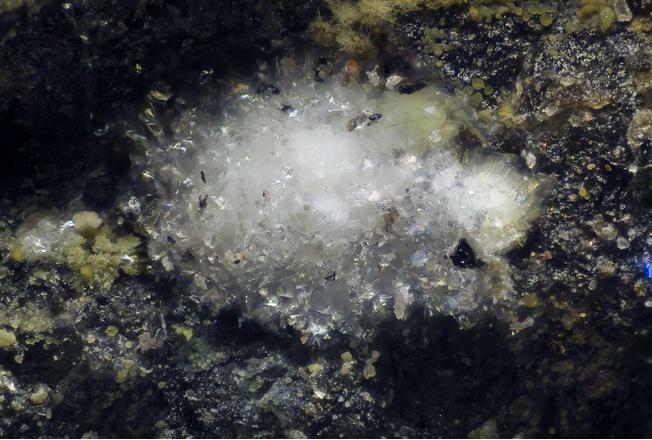 29, February 2016, page 200; Mineralogical Magazine, 80, 199–205; Ibáñez-Insa J., Elvira J.J., Llovet X., Pérez-Cano J., Oriols N., Busquets-Masó M., Hernández S. (2017): Abellaite, NaPb2(CO3)2(OH), a new supergene mineral from the Eureka mine, Lleida province, Catalonia, Spain. 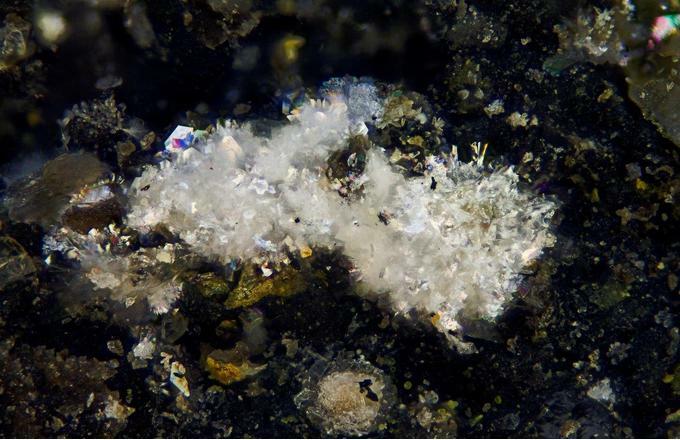 European Journal of Mineralogy: 29: 915-922.